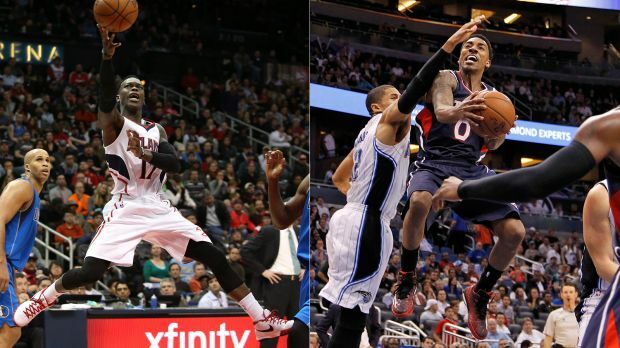 Teague vs. Schroder: Who’s the Hawks’ Better Long-Term PG Option? Jeff Teague (right) is the man for now, but don’t count out Dennis Schroder in the next year or two. I stumbled upon this post by Brett LaGree of Hoopinion, an Atlanta Hawks blog that used to be part of the True Hoop Network on ESPN. I have always had massive respect for Brett and his blog, even though he doesn’t write for it much anymore. First off, I think a lot of what I want to do this blog stems from what I’ve seen and read on LaGree’s blog, as it is obvious he is a NBA junkie, but he is able to write about different topics and subjects. And second, he is a KC native. While I am a KC Ex-Pat, I do admire someone from KC writing a quality blog about something other than the local sports teams (i.e. Royals, Chiefs, etc.). While I love KC, I do feel the sports blogger scene in this area wanes beyond the major teams (though I do believe Royals Review is the best blog in the KC area). To see someone get over that hump is a bit inspiring, and helps me believe that maybe I can do something with FPP similar to what Brett did with Hoopinion. Anyways, Brett makes some good points about building for next year, pointing out that the Hawks may be closer to a modern-day Mavs rather than Spurs (which is the common comparison, mostly due to the fact Mike Budenholzer was a long-time assistant), and the Hawks’ best chance may be to keep the gang together as much as possible and hope for a lightning in a bottle moment to help them get over the Cavs in the Eastern Conference. The point he makes is practical and sound: the Hawks are not a free-agent destination, and probably won’t be anytime soon (after all, if they could not attract Atlanta native Dwight Howard, I don’t know who else they could get). The Korver injury demonstrated that they need more shooting on this roster, but after this Warriors championship, more teams are looking for shooting, so that may be a taller (and more expensive) task than one would initially think. And thus, the Hawks might succeed best by just staying pat, and hoping Al Horford can stay healthy a full year and lead this team in 2015-2016, with the hope they can get hot and catch a cold Cavs team in the Eastern Conference Finals. LaGree really hits this point hard, and for more details, I would suggest reading his full post, as he goes into the nitty gritty details about the Hawks’ cap space, draft possibilities, etc. However, I felt the most compelling story concerning the Hawks last season (other than them having the Eastern Conference’s best record) was the play of their two points guards: Jeff Teague and Dennis Schroder. Without a doubt, the Hawks’ improved point guard play was a key reason why this Hawks’ team reached great heights in 2014-2015 after sort of running in the middle of the Eastern Conference pack the previous 3-4 seasons. First off, let’s take a look at Jeff Teague, who really thrusted himself in the discussion of being a Top-10 Point Guard last year, unthinkable a couple of years ago. If you think my comment might be exaggeration, take into consideration these numbers: he ranked 31st in the league in Win Shares at 7.7, ahead of other big-name PGs such as Kyle Lowry (7.1), Ty Lawson (7.0), Eric Bledsoe (7.0), Goran Dragic (6.8) and Mike Conley (6.8). In terms of PER, Teague (20.6) was rated better than not just all those previously listed, but also John Wall (19.9). In fact, he was only a shade worse in terms of PER than Damian Lillard, who had a 20.7 PER (though Lillard was much better than Teague in Win Shares at 10.6). A couple of years ago, Teague was not even in the Top-10 discussion for Point Guards. Now, he seems capable of cracking the Top-5, not an easy task considering that position is the deepest and most talented currently in the NBA. Teague has always been consistently a force for the Hawks in his six-year NBA career, but the past three seasons he has really come into his own as a playmaking force for Atlanta. In addition to his advanced numbers such as PER and Win Shares, Teague sports a near 2-1 assist to turnover ratio in his career, and has a 3-year True Shooting percentage of 55 percent, which included a 56.6 percent mark a year ago. Add this, along with a 15.9 ppg, 7.0 apg and 46 percent FG% over a 73 game span in the regular season on the Eastern Conference’s best regular season team, and one can understand why Teague made the All-Star squad this season. 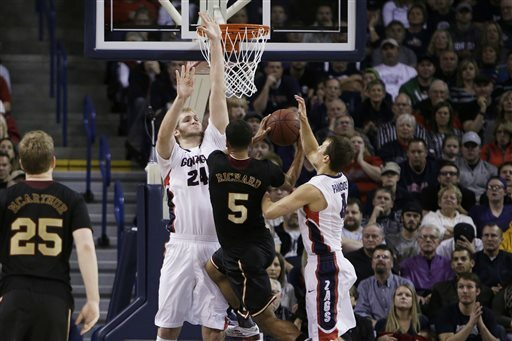 Most of Teague’s strengths come on the offensive end, especially when it comes to his ability to score. Teague proved to be a versatile, playmaking guard who finished well at the rim, but also had the ability to stretch defenses out with his shooting on the perimeter. 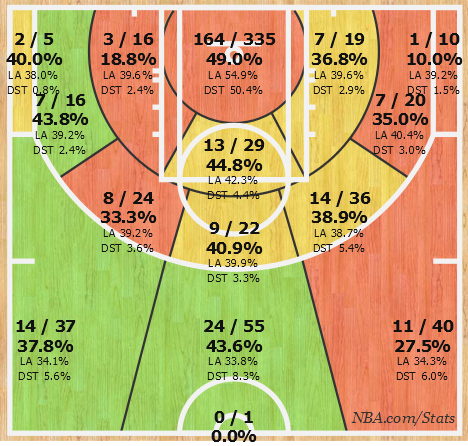 Let’s take a look at Teague’s shot chart last season. Teague preferred to get to the rim as a scorer as nearly 55 percent of his field goal attempts came within 8 ft. Considering the high percentage of shots relative to his other field goal attempts, the fact that he is only 2.5 percent below league average is pretty impressive, especially when you remember that he is a point guard. An area of the court Teague proved to be strong in was in the middle of the court, especially on floaters in the middle of the court, around the free throw line. He shot 10.6 percent better than league average in that area. Another strong point in Teague’s ability to score was his ability to hit the shot from the top of the key, as he shot 8.5 percent above league average on 52 attempts from the top of the key to beyond the arc. So, as you can see from the shot chart as well as his numbers, both traditional and advanced, there is a lot to like about his game. Furthermore, Teague is under contract for the next two years at $8 million per year, a relative bargain when you consider the contracts of Lowry (who is making $12 million per year through 2017-2018) and Conley (who is making $9.58 million next year, after which he will be a free agent and will see a significant pay increase whether in Memphis or elsewhere), both players whom Teague performed better against when it comes to PER and Win Shares. And thus, it seems hard to believe that the Hawks would be willing to part with Teague in any way considering the value they are getting from him and will be getting from him going forward as long as he remains healthy and around the same level of performance. That being said, Schroder is making a case as star-point-guard-in-the-making off the bench for the Hawks. In this player-by-player comparison via NBA.com, one of the strengths of Schroder’s game is his defensive value and versatility, and his ability to keep opposing guards from scoring in the paint. Though only 6-feet, 1-inch (an inch shorter than Teague), “the Menace” has gained praise from scouts as a Rajon Rondo type thanks to his hands and ability to use his length on the perimeter. Thanks to his craftiness, Schroder also proved to be a solid rebounder as a point guard, as he bested Teague in rebounding percentage (6.3 to 4.8). That isn’t to say of course Schroder is in the same level as Teague by any means. Teague is obviously the better player and should be the starter and catalyst for the Hawks next season. No doubt about that, and him besting Schroder in net rating, effective field goal percentage and assist ratio prove that point as well. But, Schroder’s improvement from year 1 to year 2 was pretty phenomenal. In 2013-2014, Schroder was pretty pedestrian posting a 5.8 PER in 49 games and seeing some time in the D-League to help him adjust to basketball Stateside. This year? 15.7 PER, 2.5 WS (compared to -0.7 the previous season), and an 18.5 ppg and 7.5 apg on a per 36 minute basis with his turnover rate staying pretty much the same from year 1 to year 2 (3.4 to 3.6 from rookie year to soph season, respectively). Whether it was maturity, more opportunity, or a full off-season to digest Budenholzer’s system, this much was clear: Schroder took a leap from fringe role player to fringe starter and impact player (pretty big difference in the “fringe” stratosphere). What also is interesting about Schroder’s offensive game is how similarly he compares to Teague. 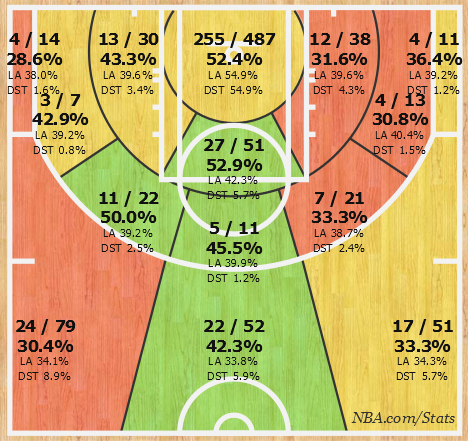 Almost all the areas that Teague excels in Schroder excels as well. And the areas where Teague struggles? Well, Schroder has issues too (jump shooting, the corner 3, etc.). Let’s take a look at Schroder’s shot chart from a year ago. Teague is a bit better finishing around the rim, but Schroder proved to be a much better outside shooter, especially beyond the arc, from the top and left side of the key. Schroder still has to work on his mid-range, as he doesn’t have a go-to spot in that area of his game. All his categories were average to below, which was a knock on his game when he first entered the league (scouts figured he’d struggle to find a consistent mid-range jump shot). However, the shot chart shows marked improvement from year 1 to year 2, and his ability to shoot from the top of the key and top-left displayed his ability to broaden his range beyond the arc. 1.) Schroder is only 21 years old and made a tremendous leap from year 1 to year 2. It makes you wonder how he’ll progress in year 3. In 10 games as a starter, when Teague was out of the lineup, Schroder averaged 14.1 ppg, 7.7 apg, 3.4 rpg and a 51.7 TS percentage in 29.2 MPG. That’s pretty impressive when you compare Teague’s season line of 15.9 ppg, 7.0 apg, 2.5 rpg and 56.6 TS percentage in 30.5 MPG. Teague has obvious advantages in shooting and scoring, but Schroder holds a slight advantage in assists and has a bigger advantage in rebounding. 2.) Teague obviously led the Hawks’ best 5-man unit (Teague-Korver-Carroll-Millsap-Horford) which played 915 minutes and had a plus/minus of Plus-170, according to 82games.com. But, with Schroder inserted for Teague in the same lineup, the Hawks didn’t miss much of a beat. The same lineup with Schroder actually performed better on a Points scored per possession basis than with Teague (1.18 to 1.12). Defensively, the Hawks were better with Teague, but not by much (1.04 to 1.07). Either way, it makes you wonder what the Plus/Minus would look like (Plus-170 for the Teague-Led to Plus-21 for the Schroder-led) if the Schroder-led lineup had more minutes (i.e. Schroder started more games). 3.) Teague’s contract is a bargain now, but don’t think that the Lowry extension won’t have an impact on his desire for a bigger contract two years from now. While Teague is signed through 2016-2017, he and his agent will certainly have a lot of bargaining power if Teague continues to be the player he is. After all, he is an All-Star, Top-10 PG on one of the Eastern Conference’s best teams (and to make the case for Lowry money, Teague’s team made it to the Eastern Conference Finals this year while Lowry’s Raptors squad got bounced again in the first round despite having home court advantage). Teague will want to get paid something similar to Lowry, if not more. However, if Schroder continues to make strides in year 3 and 4, there’s no question he may be a Teague-like player who’ll demand less money and be a much easier sign (if the team exercises their option in 2016-2017, he’ll still be only making around $2.1 million). Teague may be the same or a slightly better player after 2016-2017, but there’s no question Schroder will most likely come cheaper than Teague, and that difference (anywhere from 3 to 5 million dollars per year is my estimate) may be the reason the Hawks management (i.e. Tsar Budenholzer) might hand the keys over the Hawks Train to Schroder in 2017-2018. So what do the Hawks do? 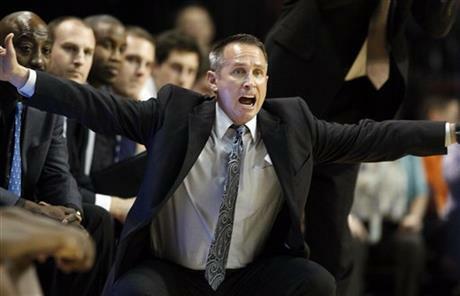 The next two years the decision is easy: stick with Teague. He’s an All-Star caliber point guard who offers a lot of offensive upside and some good playmaking skills. There is no reason why the Hawks should cut him loose now, especially considering they are a Top-3 team in the East presently (they are competing only with Cleveland and Washington). However, Schroder’s development will be interesting to watch. I expected improvement from his rookie season, but not this much, and you can’t help but feel Schroder is going to get better as he logs more NBA minutes. Considering his rebounding and playmaking upside, he certainly is an enticing player that will certainly put more pressure on Teague and make things interesting a couple of years from now. But until the conclusion of the 2016-2017 season, the Hawks can simply enjoy the dynamic duo they have at point, an advantage they have over every other team in the Eastern Conference going into 2015-2016.